With over thirty years working in the business, Doug Whiteman is considered to be one of the top owners in the Auto Repair industry. Doug has been recognized as the NAPA Los Angeles Technician of the Year and has been featured in numerous publications. Away from work, he participates in multiple groups featuring independent shop owners and is known throughout the industry for his high standards of customer service. Recently, Doug has discovered a passion for helping other struggling shop owners. Along with managing his business, he serves as a consultant for the Automotive Training Institute where he has helped hundreds of shop owners turn around their failing businesses. When Doug is not caring for our customers he enjoys spending time with his wife Linda and his children, Josh and Karley. Linda has been involved in the station for over 28 years, assisting in the backroom office and helping with community projects. In December of 2013, Linda led our “Christmas Truck” Giveaway, where we gave away a Ford F-250 to a local family in-need. Linda was able to gather a number of donations from local businesses to fill the bed of the truck with toys and gifts for the family! Her favorite memory of the station was in 1996, when she and Doug were able to watch the station go through a complete remodel. She can recall her son Josh, who was two at the time, watching all of the cranes and excavators work on the station with amazement. Doug and Linda’s son Josh currently attends school at California State University, Monterey Bay where he is obtaining a degree in business. Their daughter Karley attends the University of Colorado Pueblo where she is studying Psychology. Karley is attending the university on both an academic and Soccer scholarship. In their spare time, their family enjoys camping, traveling and attending church at Water Of Life in Fontana, California. Josh is the grandson of George, who started the business in 1972. He is the third generation working in the family business and hopes to continue the standard of excellence for years to come. After high school he attended Cal State Monterey Bay, pursuing Business Administration. After that he moved back to Fontana to help the family business. Josh has two ASE certifications and is planning on becoming Master Certified. In his free time he enjoys working on his Subaru WRX. He has built the motor, swapped a bigger turbo as well as all the supporting modifications. He takes it to car shows and car meets all over Southern California. He also plays disc golf regularly, competing in tournaments all over the west coast. 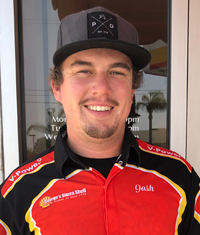 Josh enjoys working for the family business and does a variety of different things, from working on cars to overseeing the environmental side. He looks forward to providing the community with great trust and customer service that they have come to expect! 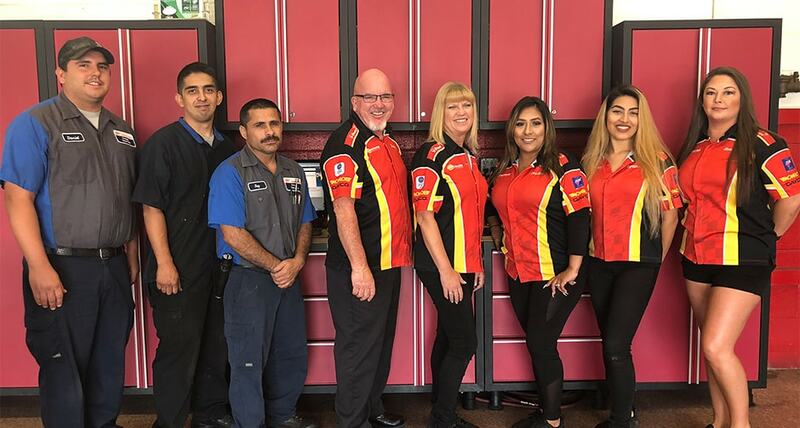 Meet Our Amazing Team of Service Advisors and Fontana Mechanics at George’s Shell! 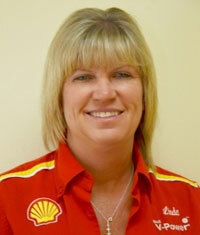 An employee of over 15 years, Heather is the most recognized employee at George’s Shell. After being hired as a cashier, Doug quickly recognized Heather’s outstanding customer service skills and promoted her into the Service Bays. 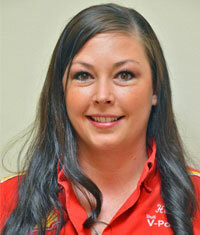 Heather assumed the role of Service Manager in 2011 and continues to build relationships with new customers daily. Heather enjoys the relationships created with customers, many of whom have become lifelong friends. Heather holds two ASE Certifications, for both Service Advisor and Parts Specialist and plans on obtaining her Air Conditioning ASE Certification soon. 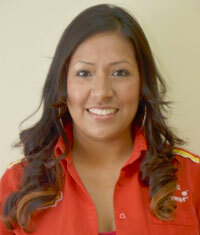 Jessica also started as a cashier in 2009 but quickly excelled into the Service Office. Jessica has a great, outgoing personality and provides excellent service to our customers. She is dedicated to learning more about cars and wants to obtain her first ASE Certification this year. Along with her duties as a Service Advisor, Jessica also is responsible for our thank you, follow-up and appointment reminder phone calls. Jessica enjoys watching Dallas Cowboys games with her husband John, her daughter Jasmine and her three boys – John, Alex and Aaron. 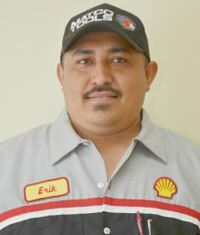 Celebrating his ninth year at George’s Shell, Erik Gonzales uses his experience to repair and diagnose all types of vehicles. Erik enjoys that in our industry, every day poses new challenges. Erik has been married to his wife Griselda for 15 years, and they have four children. His daughters Delilah, Valerie, Gizelle and his son Erik all love playing outside with their dad. Erik loves riding his quads and will have fun in “anything with dirt and water”. In 2011, Erik also became drawn to the sport of golf, for which a number of our employees play together. After graduating high school, Daniel joined the United States Armed Forces, following the footsteps of multiple members in his family. Daniel served as an Army Medic from 2004 to 2010. Once he returned from deployment, Daniel was hired to assist in the shop and began to learn about cars. He was a fast learner, and in 2011 he obtained he California Smog License. This year Daniel will be taking three ASE Certification tests and ultimately wants to become ASE Master Certified. 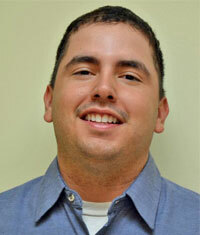 In his free time, Daniel is an avid golfer and enjoys watching football and baseball. 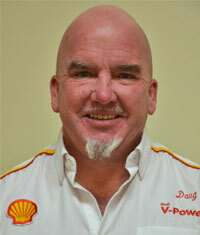 Ray has been with George’s Shell for over 8 years and in the industry for over 20! 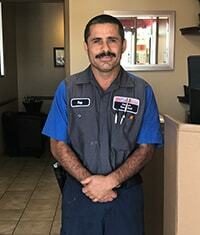 He has a passion for cars and is our certified AC specialist. Ray also has an ASE certification. While not working on cars he loves spending time with his children, his daughter is currently serving in the US Navy along with his son n law, and grandchild. 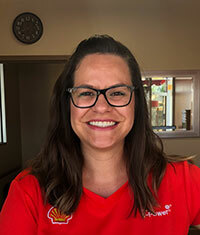 Leigha joined the George's Shell team early in April of 2018 to manage the Food Mart. She has a background in retail management and hospitality. She is continuing her education in Business Management and Accounting from Cal-State San Bernardino. Leigha enjoys spending time with her family doing anything outdoors. Leigha is also a big sports fan and enjoys watching and cheering her favorite teams. She also has a love for wine and is a Certified Sommelier.